Work From Home Transcription Job Alert: TranscribeMe is Hiring! 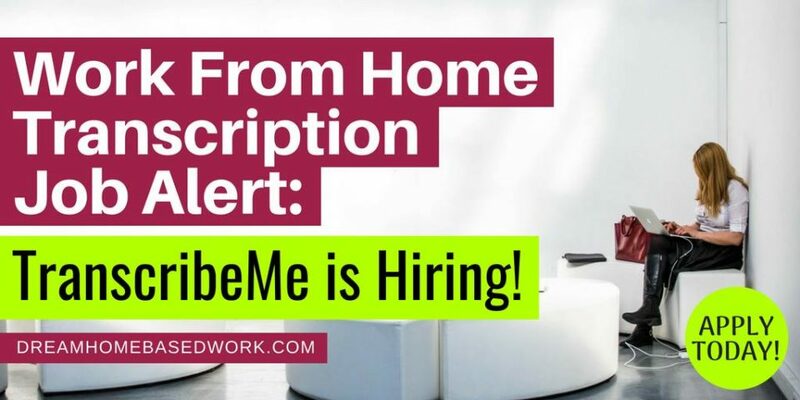 Home » Latest from the Blog » Transcription » Work From Home Transcription Job Alert: TranscribeMe is Hiring! TranscribeMe is one of the best work from home transcription jobs and one of my personal favorites. The company is a top-rated work from home opportunity. If you've ever wanted to try transcription work, TranscribeMe is currently hiring for flexible work from home transcription jobs. They are very similar to beginner companies like Transcription Hub and Babble Type. TranscribeMe is an award-winning multi-media transcription company based in San Francisco with members providing transcription services from all over the world! The company prides themselves on providing first-class support to members. TranscribeMe provides medical transcription services, and academic lecture transcripts for clients and hires work from home transcriptionists for anywhere in the world. This work from home transcription job with TranscribeMeinvolves taking audio and video files and transcribing them to written text. You'll set your own hours and can work as little or as much as you want given the amount of available files to work on. Transcribers may also be given the opportunity to work as Quality Assurance agents responsible for consolidating, proofreading, and editing transcriptions. TranscribeMe welcomes applicants with little to no experience. However, they prefer hiring people who have the ability to follow and interpret the English language. You'd be a great candidate if you can do this and have decent typing skills along with a reliable and flexible schedule. TranscribeMe states that you don't need any special equipment to get started, but you will need a reasonable computer with Google Chrome and a reliable internet connection. To make your job easier, you might want to invest in a good quality headset and foot pedal (recommended). Transcribers are paid $20 USD per audio hour for general transcription, although different projects and specializations may offer higher rates. One of my readers shared that he was offered around $0.48 per audio minute. Keep in mind that this rate represents ‘per audio hour' and not the time it takes to transcribe the audio. Transcribers can request to be paid weekly via PayPal deposits. 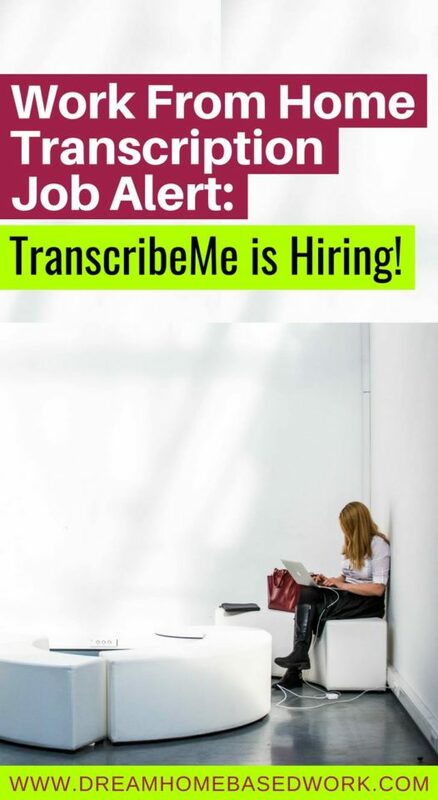 Click here to apply for the position with TranscribeMe. Fill out the online application, then you'll need to watch an explanation video. Once completed, you are now ready for the exam. This stage requires you to listen to an audio file, then transcribe it. Once you have successfully completed the exam, you should be ready to begin the job. Head over to Transcribe Anywhere for a FREE transcription mini-course. This course was designed to help newbies learn exactly what transcription is and how to be successful working from anywhere. Want more work from home job leads? Stay up to date by following our Facebook page. Good luck!